LaLiga giants, Barcelona will not give Real Madrid a guard of honour ahead of this Saturday’s Clasico despite their rivals being crowned champions of the world, According to manager, Ernesto Valverde. Recall that Real Madrid superstar, Cristiano Ronaldo had mocked Barcelona after winning the FIFA Club World Cup, stating that the Catalan club needs to give his team a guard of honour before the El Clasico clash at the Estadio Santiago Bernabeu. 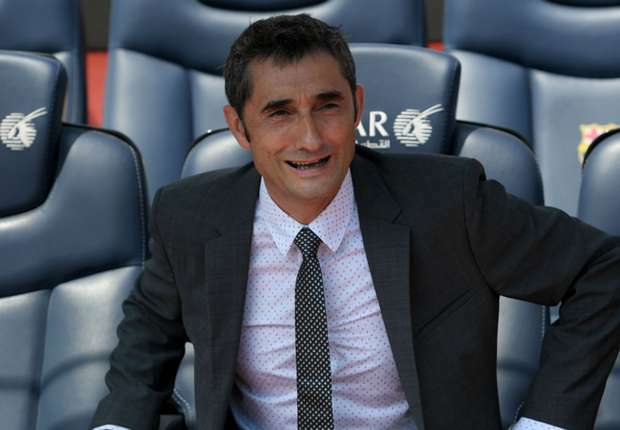 Valverde has completely ruled out any possibility of Barcelona’s players lining up to applaud their rival, Madrid. Speaking to Spanish media over comment made by Ronaldo, he said, “it was unlikely his players would be giving a guard of honour this weekend. “I haven’t even paid it a thought,” he said. Barcelona are currently number one on the LaLiga table, 11 points ahead of Real Madrid.